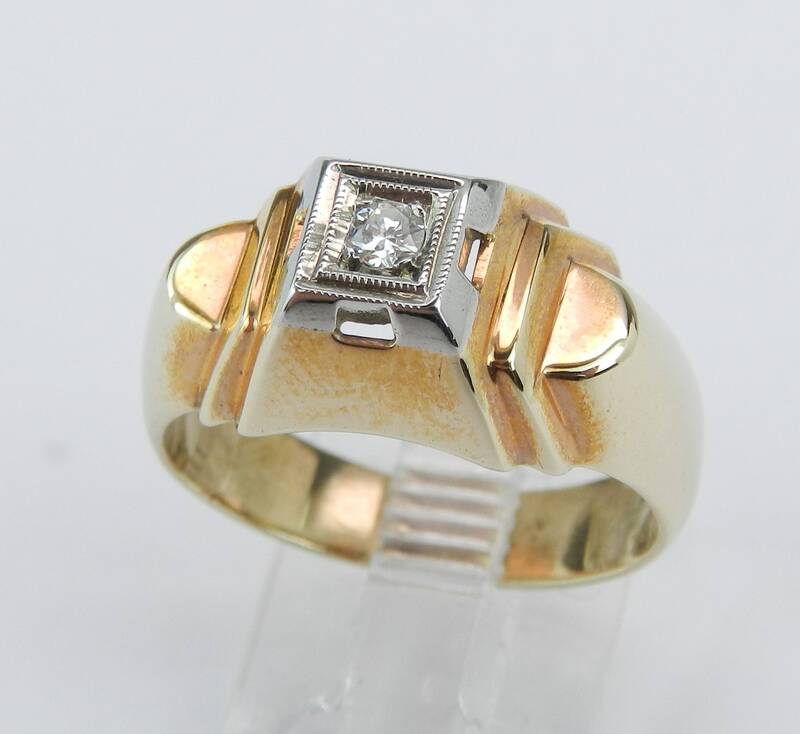 Antique Vintage Estate Hand Made Yellow Gold Diamond Solitaire Ring. 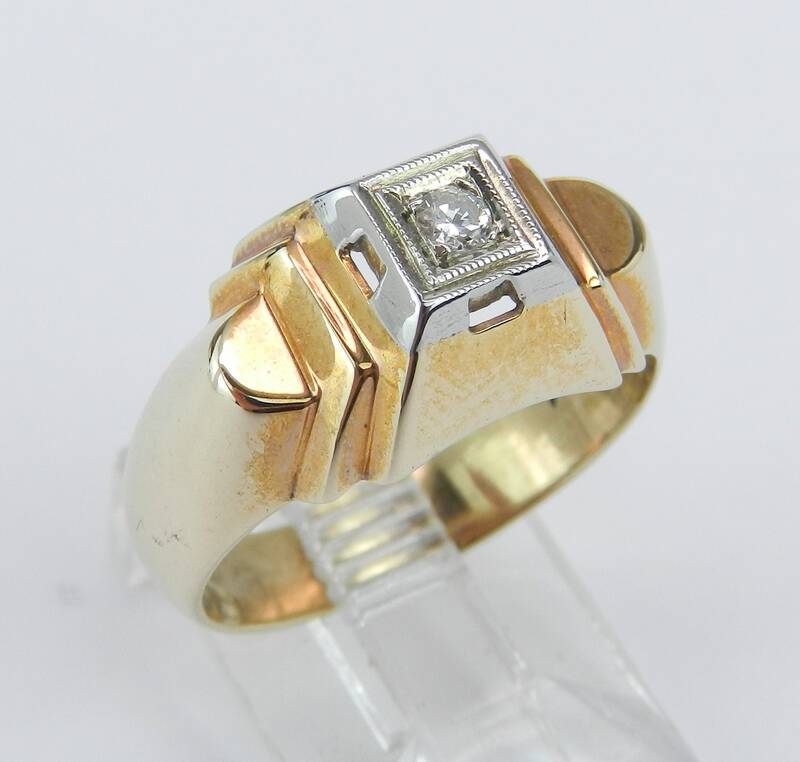 This ring is set with a center Round Brilliant Diamond. 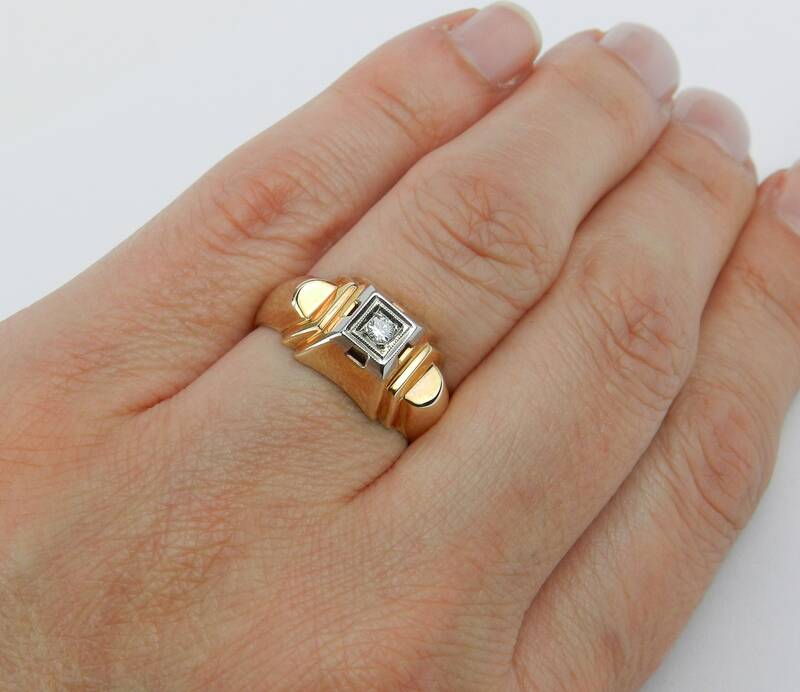 This diamond is G color, SI1 clarity and weighs .08 carat in White Gold. 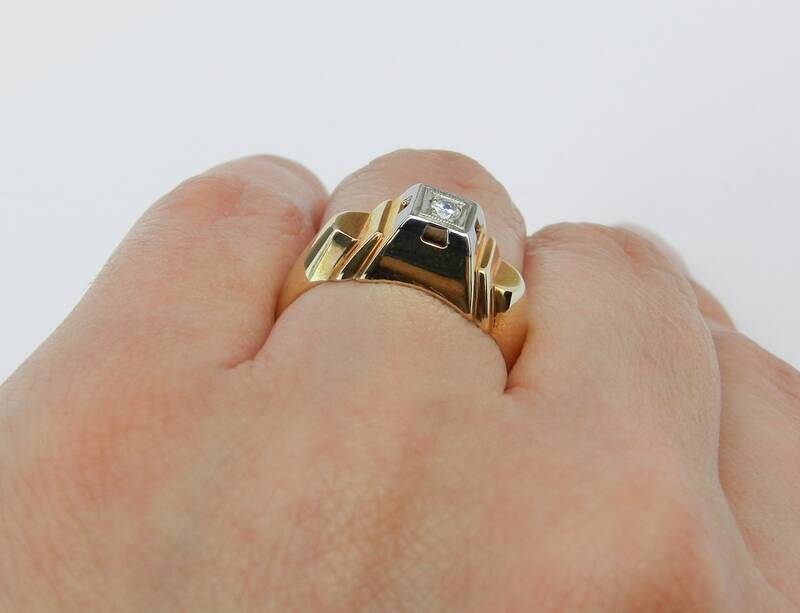 This ring is 10KT Yellow Gold, all hand made, weighs 4.6 grams and is a finger size 6 1/2, can be resized (please inquire about sizing charges with the finger size you need). 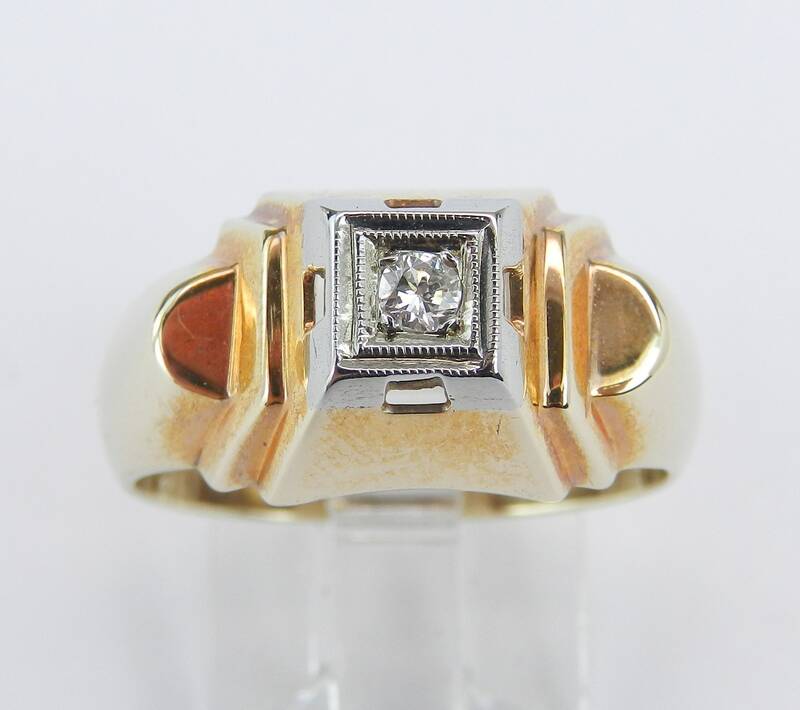 This ring dates back to Circa 1930's and will be accompanied by an appraisal with the retail replacement value of $1,349.00. I will ship these rings promptly in a beautiful gift box.